You’ll need to be quick to bag yourself a Z-Sport, the latest in a long line of limited-edition range-topping Mazda MX-5s. But don’t worry if you miss out on the 300 being made available in the UK, because all the fundamentals are available in the form of the 2.0-litre Sport Nav version, and most of the rest is on the options list. 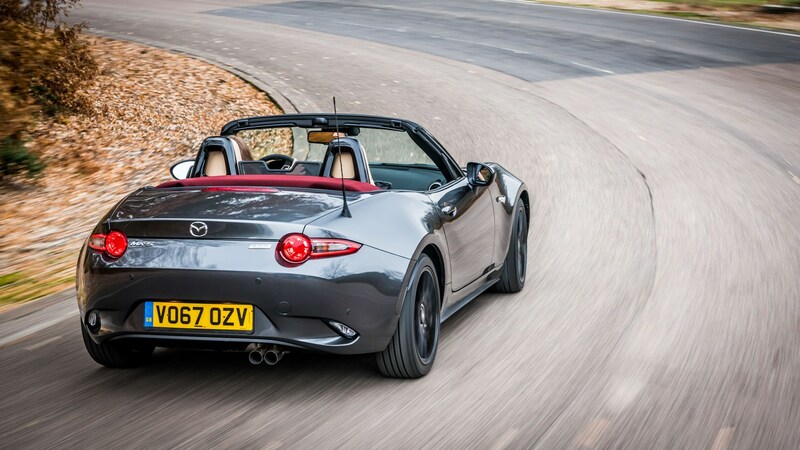 Driving the Z-Sport is a great excuse for us to reacquaint ourselves with the fourth generation of the MX-5. If we’re going to have more summers like 2018’s – especially when combined with the empty roads prompted by England’s strong World Cup run – then there’s every reason to celebrate this magnificent car… and wonder why it doesn’t have more competition. They’re still making that thing? Yep, 29 years after Mazda’s retro-styled roadster was first shown, it’s still available, and indeed going strong, having outlasted various rivals such as the earlier MG-F and later Honda S2000. The details have evolved through its four generations, but the basic idea is exactly the same: simple, light, agile, and all about real-world driving pleasure. The current-generation is available with a choice of 1.5- and 2.0-litre naturally aspirated petrol fours, driving the rear wheels through a six-speed manual gearbox. There are four spec levels, including Z-Sport, none of them lavish. The cabin is cramped for tall or wide drivers, the boot is small and the manually operated fabric roof is effective as fabric roofs go. 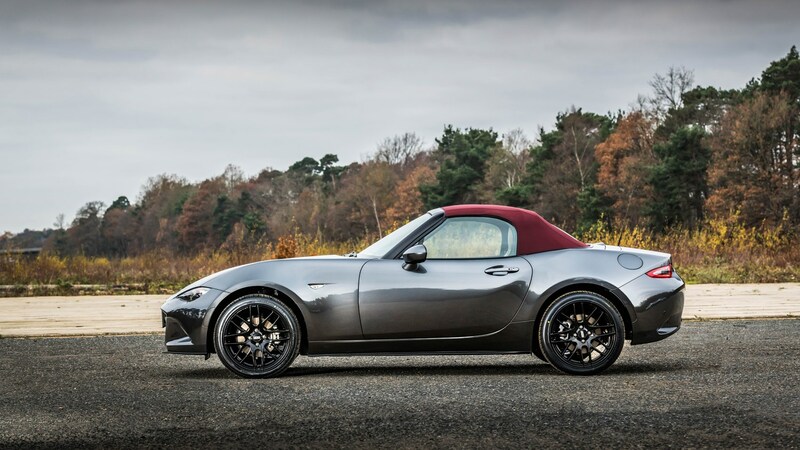 If you want a folding hardtop roof, go for the RF version of the MX-5. If you want more power, go for Fiat’s turbocharged 124 – based on the MX-5, but with different engines and a reshaped body. What do you get with the Z-Sport? 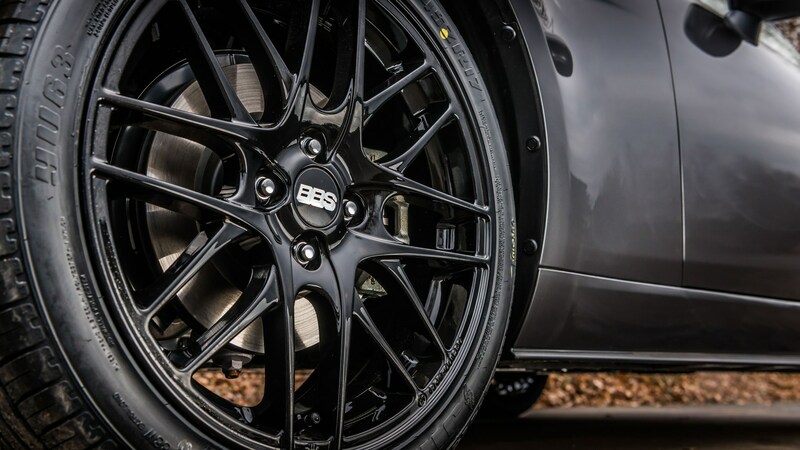 Instead of 16in wheels you get 17in BBS alloys. The roof is cherry red and the paint is metallic grey – not a combination otherwise available. There’s sand-coloured leather upholstery, a plaque reminding you that you’re in a limited-edition car, and logo’d-up door sills and floor mats. That’s it for the Z-Sport’s uniqueness, because it’s essentially a gussied-up 2.0 Sport Nav at an OK-ish price. Luckily, a 2.0 Sport Nav is a fine thing, with a surprising amount of kit (in the context of a light, simple roadster). You get Bilstein dampers, a limited-slip diff, climate control, cruise control and decent infotainment. You don’t get reach-adjustment for the steering wheel, and the seat has only limited scope for getting just so. But you can adapt. Try yoga. Try eating less. It’s worth it. True. There are hot hatches, and indeed non-hot SUVs, that can outpace the MX-5, and match its economy. But they don’t drive like an MX-5. Frankly, nothing does. Its steering is lighter than a Lotus Elise’s, and the whole set-up is more relaxed. It’s beautifully accurate, with a degree of feedback and a ride quality that lets you enjoy B-road bends in all their pock-marked and poo-strewn variety. It’s decidedly rear-wheel-drive in its feel, but not wildly so. The modest power output is a real virtue, as it encourages you to work with the car to extract the most from engine and chassis, and you can have a whale of a time at something called legal speeds. The MX-5 has always been mild and reliable enough to use for commuting and shopping, while also being agile and willing enough to make for a deeply rewarding on-road driving experience. Mazda’s greatest achievement – since the original great achievement of drawing together the best bits of classic European roadsters into a new car – has been to keep that original spirit intact, while carefully evolving the details to ensure you don’t feel like you’re driving a relic. You might think you don’t want climate control and DAB radio, but you miss them if they’re taken away from you, for example. It’s not the only way to have fun on the roads, and it’s certainly not the most practical or versatile; the MX-5 is closer to a motorcycle than a family hatchback in that regard. But it’s gloriously good value. And the Z-Sport, in its modestly fancy way, is perhaps the best version ever. Porsche 718 Boxster (2018) review: all the sports car you need?